Show your love for the Star Wars universe with these amazing socks! 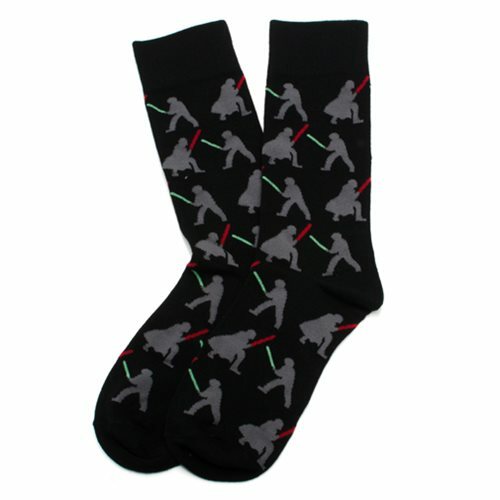 The Star Wars Darth Vader v Luke Lightsaber Battle Black Socks feature a fun pattern with Darth Vader and Luke Skywalker battling. Made of 59% Viscose Jutecell, 36% Polyester, 1% Spandex, and 4% other. One size fits most (up to men's 12). Ages 13 and up.